The volleyball setter runs the offense and her position is one of leadership and responsibility. 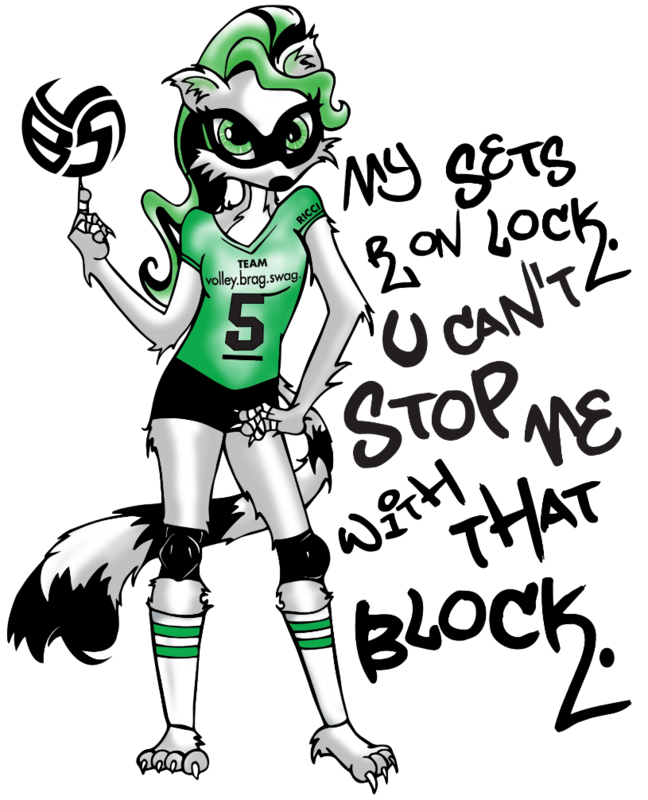 The setter leads their team's attack on their opponents, relays tactical information from the coach to her teammates and is the spark plug with the ability to see the big picture when it comes to directing her team's offense. When a team is on serve receive, the setter is responsible for running the offense, which requires him or her to inform each of their possible hitters what set they are going to give them. Then they are required to try and touch every second ball in serve receive and set it accurately to a spot on the net. Who is the volleyball setter and what're their responsibilities? The setter leads their team's attack on their opponents, relays tactical information from the coach to her teammates and directs her team's offense. If you are the volleyball setter on your team, then you are in charge of directing the play for the offensive attack. You can be compared to a quarterback on a football team, or a point guard on a basketball team. You, my friend are the shot caller. As the setter, you will get feedback from your coach (or call plays yourself) that you relay to your hitters about what sets you will be giving them after your team has passed the ball to the setter position at the net. Yep, you get to call the plays your hitters run in the front row. If you have back row hitters you'll tell them what sets you'll be giving them that they'll hit from the back row. Like the quarterback, the setter is the playmaker on the court. Big baller, shot caller...whoops having too much fun..lets get back to work. The setter indicates to each of their hitters, before the opposing team serves the ball, what set she plans to deliver to each of them. Depending on what the coach has instructed the setter to do, sometimes she will tell each hitter individually "Hey my outside hitter, for this play you will hit the high ball outside", then she'll tell her middle "I'll be giving you a one set in the middle and she'll tell her right side hitter " You need to hit a red". Or a setter will make one call which represents one play. A play is the hitting assignments all the hitters involved in the team offense get from the setter during a rally. All the hitters will hit a particular set, depending on which "play" the setter calls, which is based on what plays they've trained on in practice. Let's say in this case a setter calls the "Blue play" to her hitters, where she utters one word "Blue" and all the players know what they are supposed to hit based on that one word. You know how they know? Not by magic, but because they practiced the "Blue" play for hours in training. Just like they practiced the "green" play, the "yellow" play, the "orange" play. Back to the Blue. Let's pretend. So for the "blue play" in this case, the outside hitter knows she hits a "shoot set", the middle knows she'll need to hit the "back one" and one of the back row hitters knows she hits a "pipe." There's no right side hitter because the volleyball setter is front row. So the setter will call the "blue play" when she is front row. That's an offensive strategy, a "play" that a team runs where all the players involved know what kind of set they will get from their setter and know what they are expected to hit based on that specific call. If you are the volleyball setter, you have two ways you can call your offense. You can tell your hitters individually what each of them are going to hit or you can call a "play" and all hitters involved would know what they are going to hit because this was what your team trained on for hours in practice. 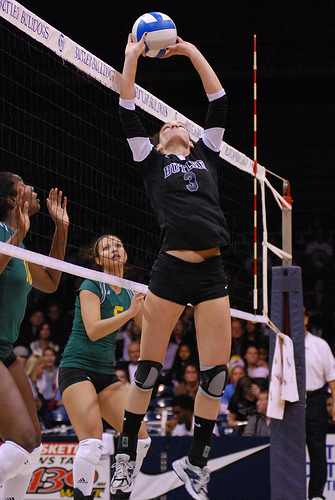 Learn more about the Setter in Volleyball by exploring he Related Links below.